I would have to admit, I’m guilty of them and being a person in the fitness industry, I see it every single day how habits are formed and ultimately wasted. It’s not anyone’s fault though, and to simply say that one is not motivated enough that’s why it fails is not enough. Through my years of coaching and training, I have gathered some reasons to why we fail to finish off what we started. Making yourself known to these reasons can play a huge part in your success in making a good new habit stick. Starting a habit is easy. It’s not difficult to start eating well or exercising more. But finishing off what you started requires more than just the initial motivation and pump. As much as it is important to just go and do it, sticking to your habits requires serious willpower. When I was trying to lose weight for the first time, I failed badly. Not only did I fail to stick to my plan, I ended up putting more weight than I lost. I came to a realisation that things didn’t work to my advantage for three simple reasons. 1. I was doing a lot of things at once. Having the will to lose weight is hard enough, and yet I chose to juggle that with exercising six times a week, eating better and going to college. I underestimated the fact that it was going to take more time if I were to do so many things at once. 2. I was doing something that required a lot of love and attention. Losing weight takes time and of course effort. I had the drive to achieve all my goals but I wasn’t focused enough in achieving them, so I took it for granted. 3. I had no strategy. I just simply want to lose weight and I was ready to take in any information from any source without even thinking if it will work for me. If this example sounds familiar to you then it’s okay, I’ve been there. And today we are going to change that. The one very important thing to remember about willpower is that we only have a limited amount of it. If we keep using it every single day without any plan, direction or purpose, or if we do too many things at one go, we will end up losing it. What this simply means is that, the more difficult the task is, the more willpower we have to use and the lesser willpower we’ll have for other things. Which was what happened to me the first time I was trying to lose weight. 1. Do something according to your ability. If you’ve never stepped out for a run in the longest time and wake up one morning wanting to run a half-marathon in 3 months, you’re not doing yourself any good. Identify the level you’re at right now and work at building up your momentum. If you want to start exercising more, start by doing simple bodyweight exercises for ten minutes a day. 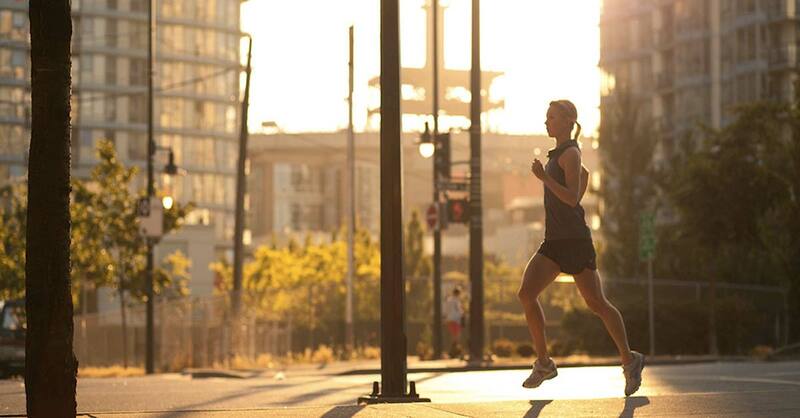 Even trying to go out and run for thirty minutes could kill your willpower. If you want to try and sleep better, start by going to bed five minutes earlier than your usual timing for a week and build it up from there. Momentum is king. 2. Pick one habit at a time and do it repeatedly. It’s much easier to tackle one big bad guy than 10 of them. That said, it’s easier to change one habit and channel all the energy you’ve got to that change rather than splitting your willpower to five different habits. It may take you a year to give up a bad habit but every step counts. If you’re having 10 cups of coffee every day now, drop it down to 9 tomorrow. By the end of the year, you’ll probably only need 1 cup of coffee every Friday. I personally believe that surrounding yourself with people who are going through the same thing as you is far more valuable than going through a change alone. Go to chat groups or message boards. Find a buddy who is willing to see you through difficult times. Make known to people who has done it before you – they’re usually inspiring and motivating. You wouldn’t walk into an important meeting without proper planning, would you? This is is especially important if you’re trying to tackle something you have never done before, for example, exercising. Have a plan and stick to it. I also find that the things that requires the most willpower is better done earlier in the day. If you don’t know what time is best to exercise, do it first thing before life gets in the way. That way you can’t come up with excuses not to do it. Although it is a matter of personal preference, small things like this do count in ensuring your success to build habits that stick. Picking up a new habit is great no matter what they are. There will be times when it seems tougher than other days and that’s completely normal. Try to understand these three things and you’ll be alright. 1. Understand that you are in control. If you decide to do something which doesn’t take you to your new habits, you have to understand that it was your conscious decision, not because you had to do it. 2. Understand that it takes time and it is challenging. Nothing worth having comes easy and Rome wasn’t built in the day. Stick to your action plans, practice self-discipline and soon enough you will achieve your new habit. 3. Understand that what you want out of the new habit (e.g. feel healthier, happier etc.) cannot happen if you keep settling on what you want right now (e.g. smoking). Get rid of all your negative thoughts, conquer your fears and believe that you can make a change. Habits takes months and sometimes years to reverse but it can be done. Think again on why you started and repeatedly tell yourself that if you feel powerless. Just know that you can make a change that does not only stick for now, but for the rest of your life. What are you doing today to change a habit and stick to it? Are you going to start something only to give it up soon after? Remember that habit takes time, it is what we repeatedly too. Don’t give up too easily and your willpower will strengthen over time because you know it will. And we all deserve that personal growth in us. Now tell me: Have you adopted a new habit recently and what strategies do you use to ensure your success? Share your thoughts with the community in the comment box below. I would love to hear them. @Zack: That’s excellent Zack, take it one step at a time and you can achieve anything you want. Good luck! Zack, that’s a really nice goal, congratulations. I know that this works and have seen many friends how set out to train for i.e. a half-marathon. Such a goal pulls you through when the going gets tough. Commit to it full-heartedly and it will be a great journey! Thank you Aqilah and Myrko for this very insightful piece. One of my goals for the coming year is to get into a fitness state and run competitively at the end of the year just as a boost to myself and also as a challenge to younger people that anything can be achieved if one put’s their minds and work hard towards that realization. I am 43. What I am planning of doing is to choose a race that I would want to compete in and get to know as much about it as possible and work gradually towards meeting the qualifying times, so the principles you have shared here are very helpful towards that end. Thank you. Thanks Myrko for the opportunity to enlighten your readers. I hope everyone can gain something out of this! Thank you for a really insightful and timely guest-post, Aqilah! Just the right thing with new year coming up. Time to really getting serious and committing yourself to one new habit for the next year! For that I recommend the follow-up read: Plan Next Year with My 2-Step Yearly Review and Planning Process to make the most out of the next year of your life!